He took Moniker Madness; can he take Homerun of the year as well? YOUR Boise Hawk Rock Shoulders has already won the 2012 Moniker Madness contest for the best name in baseball and has now been informed that he is in the running for the 2012 MiLBY Awards Homerun of the Year for his grand slam into another area code against the Yakima Bears September 3. When highlighting the season with the team, almost every guy responded with Rock’s grand slam being at the top of the list and of course for Rock it was THE highlight of the season. Hitting Coach Bill Buckner had a lot to do with Rocks performance throughout the season. It was always Buckner that helped pull Rock back up when he had fallen into a little slump. Rock Shoulders is a young and talented player in the chase of his dream. 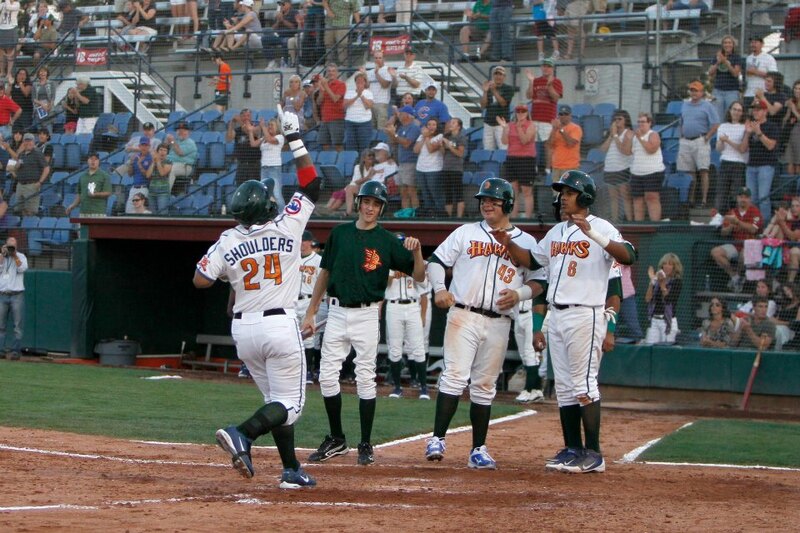 Help him make yet another dream come true and support YOUR Boise Hawks by voting for him at http://www.milb.com/news/awards/y2012/index.jsp?category=homerun.